Here we are. It’s been a long time coming, and we’ve reached the slide into home plate on the first season of Chasing the Horizon. Paul Beasley, my guest for Episode 21. I never thought back in February 2017 when I first came up with the idea of doing a podcast that I’d be sitting here at my desk, just over a year later, looking at statistics that tell me about a thousand people a week are listening to Chasing the Horizon. I’d have probably laughed at you if you told me that when I put out my first episode in August 2017. I remember the bemused looks I got from people when I floated the idea. I’m glad I decided to do it anyway! The underlying concept for the show was seeking out people who know something about motorcycling that I don’t know. I started with Helge Pedersen, an author and photographer who now runs a successful motorcycle expedition/touring company. I talked to riders and CEOs, men and women, old and young. I’ve learned so much, and I hope you have as well. For this episode, though, it is because of the MOA and its partnerships with motorcycle industry corporations that I was able to present to you an extremely technical discussion with a bonafide oil expert, Paul Beasley of Castrol. Castrol is owned by British Petroleum, commonly known as BP around the world. 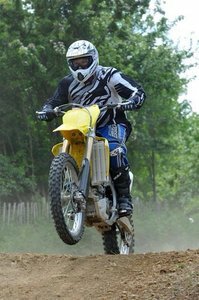 In my non-motorcycling life, I’ve often had to deal with massive international corporations, and it is rarely an easy or streamlined process. Yet when I pitched the idea to our contact at Castrol about having somebody on the show, he jumped at it. It took a long time – many weeks – to wind through the corporate bureaucracies to get permission, and here we are. One of many chemical possibilities for synthetic oil. Paul is a fantastic guest, and his technical knowledge of oil is impressive. I have to go on record now as saying I didn’t understand everything he said, but my position as the guy asking the questions enables me to get clarification – and I hope that’s what Paul and I have provided for you in this episode. My goal was to dismantle some myths about oil, and along the way we did that and much more. Thanks again to everybody at the MOA, Castrol and BP that made this episode possible. 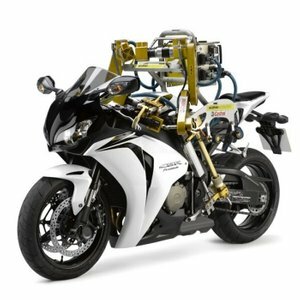 Flossy, Castrol’s motorcycle-riding robot. Click the photo to see a cool video! Here we are, it’s the end of this episode’s post, so you know what’s next. The next episode will be out next Monday, 14 May, and it will feature a discussion with Number 105 in your program, but Number 1 in your heart, Dakar Rally competitor (and finisher!) Bill Conger. 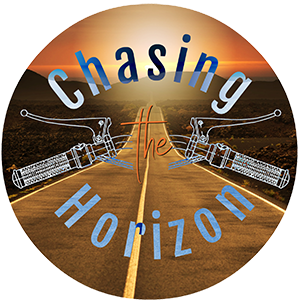 There will be two more episodes in May, and that will wrap up the first season for Chasing the Horizon. The show will be back on Monday, 6 August, with new logos, new music, an official sponsor and more of the guests you’ve come to expect! Have a great May, and I’ll see you out there somewhere on the road – or off it! Ride safe!